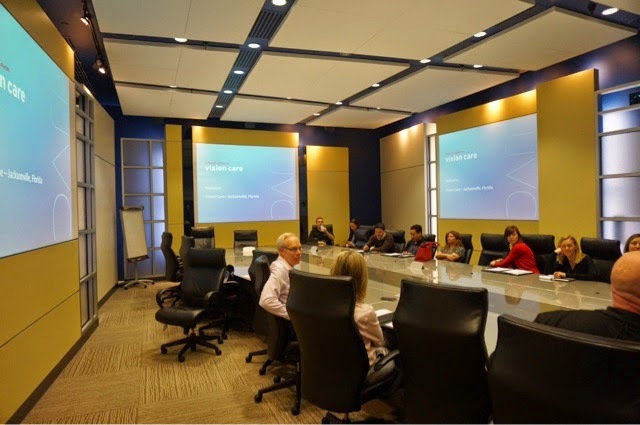 Lean Reflections: Lean Sensei Kicks Off 2015 Florida Lean Tour! Today - 12 people from various backgrounds and industries converged on Jacksonville Florida to tour through a number of mature Lean organizations. The objective is to "go to their gembas" to see how these companies have implemented Lean and to experience first hand through observation and inquiry what it takes to be a Lean Organization. 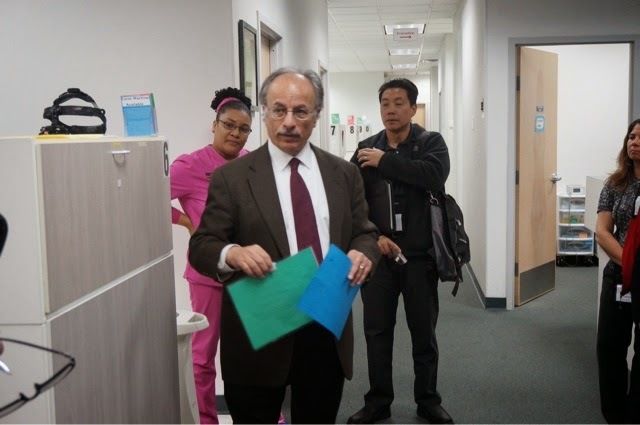 Dr. Bahri has been experimenting and implementing Lean for over 13 years, he just didn't know it at first. He just knew that there had to be a better way of running his practice. So he started reading books (by authors like Womack and Ohno) and trying to introduce some problem identification and solving techniques he was learning from the books. It wasn't until much later - around 2005 that someone who was what he was doing told him he was implementing LEan tools and ideas. Since then , he has made significant change in his practice. And in doing so, has completely shifted his focus to a patient centric one, where he and his staff thought about how to make the experience more efficient and of more value to the patient. He has successfully taken concepts like kanban, one piece flow, and daily huddles and has seamlessly integrated them into his practice. Now, when a patient comes to the office, they are taken immediately to an open chair that has been readied by one of the hygienists - they have eliminated almost all waiting time at the front by applying heijunka (balancing) techniques to their scheduling. 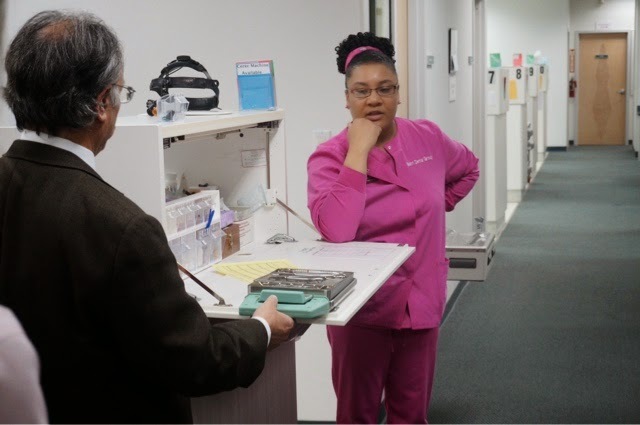 If the patient needs a cleaning (hygenist), some diagnostic tests (dental assistant), and a filling (dentist) - the patient stays in one chair. The various dental professionals move from chair to chair in the necessary order to "complete the order" (one piece flow). They have implemented a Manager of Patient Flow who puts kanban cards at each station so that as a dental professional completes one task at a chair, they know exactly which chair they are moving to next. They have visual replenishment queues for supplies at each workstation, reorder processes that allow for just enough stock to meet immediate needs, and have enough cross training to allow for flexibility in helping complete treatments (orders). And over the past few years, their patients have consistently rated them as excellent (98% customer satisfaction). And true to Lean, it never stops. Dr Bahri has a full team huddle every morning to review the previous day and work on solving problems. He and his team have a clear and definite culture of continuous improvement. It is in everything they do, without having to think about it. It just happens. For those who have never heard of Vistakon they are "the world leader on vision care" specifically contact lenses. This facility alone pump out a whopping 1.5 billion pairs of contact lenses per year...yes billion! 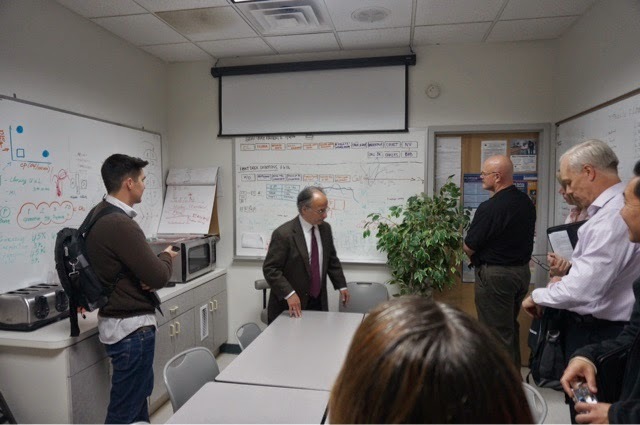 Our time with Vistakon was hosted by Bill Fogel "manager of operational excellence". After a very thorough overview of the company and their LEAN journey. We then participated in a facility tour. Wow! The epitome of continuous flow, their facility runs 24/7 only shutting down only for a couple of key holidays each year. Because their product caters to health care the facility is spotless. When walking through the facility, we saw many of the same VISUAL MANAGEMENT queues you see when you visit a Toyota or Mitsubishi plant in Tokyo. There are ANDON lights on each line at at various stages telling the operators if there are any problems on the line. There are production TARGETS and progress toward them on large visual display monitors. There are heat-maps showing where in the flow any issues are showing up. Vistakon also takes great pride in employee communication as is evident throughout the facility using interactive touchscreen displays. Which display everything from up to the minute metrics to Environmental Health and safety reminders. One highlight was the integration of the I pad done so to shape communication capability key focus areas were compliance, safety and continuous improvement "oh yea, and to go paperless during their daily GEMBA walks." Their staff takes great pride in a building a world class product in a world class facility and showcasing the way they do it. 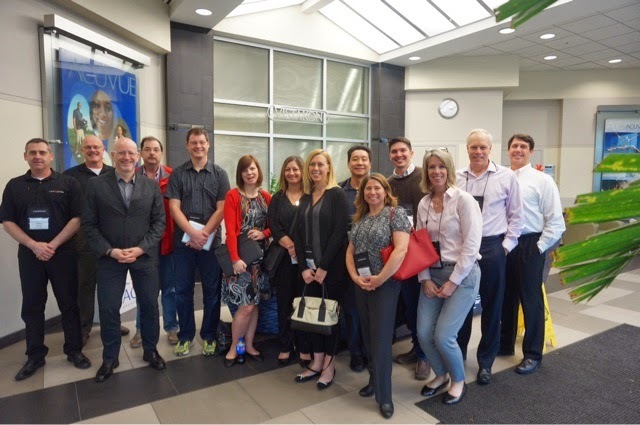 Day one - We toured Johnson & Johnson's Vistakon facility in Jacksonville, FLA. The Florida Tour is not complete without a visit to Bahri Dental with guidance from the world's first "Lean Dentist", Dr. Sami Bahri.